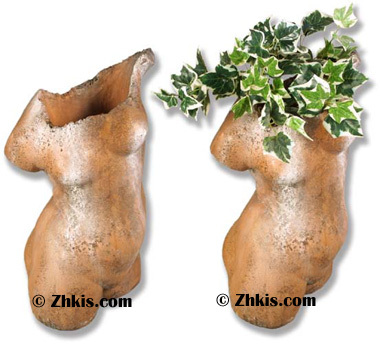 Woman's torso planter. A very unique planter that is a remnant statue of a woman's body. A rustic looking piece that is sophisticated looking. The is 25 inches tall and is shown in a autumn rose finish. Outdoor suitable with other other finish choices available.